C2C is fully licensed in every licensing state where we do business, and we are CLLA Certified. Over 20 states require commercial collection agencies to be licensed to do business in their state. Surprisingly, very few agencies pay attention to these laws. This is easy for us because our own internal standards of professionalism and accountability are even higher than those of the licensing states. Operating without a license is a felony in some states. States require agencies to maintain bonds and trust account procedures to protect your money. Collection Agencies that operate in an unethical or illegal manner are subject to legal action. As the creditor, you can be sued right along with them! Licensed agencies must pass tests and audits of their letters and procedures on a routine basis. Some debtors will use the fact that an agency isn’t licensed to avoid paying the debt. If a debtor threatens to report an unlicensed agency, the agency may quickly close the claim to avoid legal issues. In some states, regulators will force the agency to give collected money back. In today’s economy, few companies exist that do not have accounts scattered throughout the country. Our ability to pursue your collections effectively, legally and professionally is yet another way we succeed as your partners in profitability. 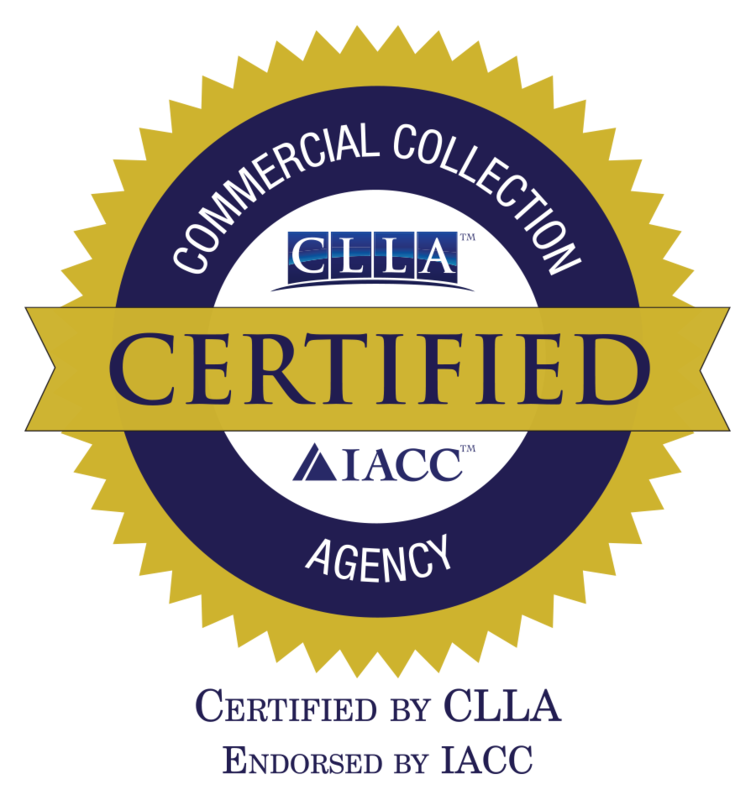 C2C Resources is one of only 29 agencies that currently has the Commercial Law League of America (CLLA) Commercial Collection Agency Certification. The Certification program is also endorsed by the International Association of Commercial Collectors (IACC). Third party review of owners background, agency operations and financial practices. Surety bond up to $500,000 ( depending on agency size). Our bond requirement is $500,000. Agency leadership required to earn annual Continuing Education Credits to ensure they are up to date with collection laws and other market information. Certification must be renewed annually to ensure certification requirements are always implemented.